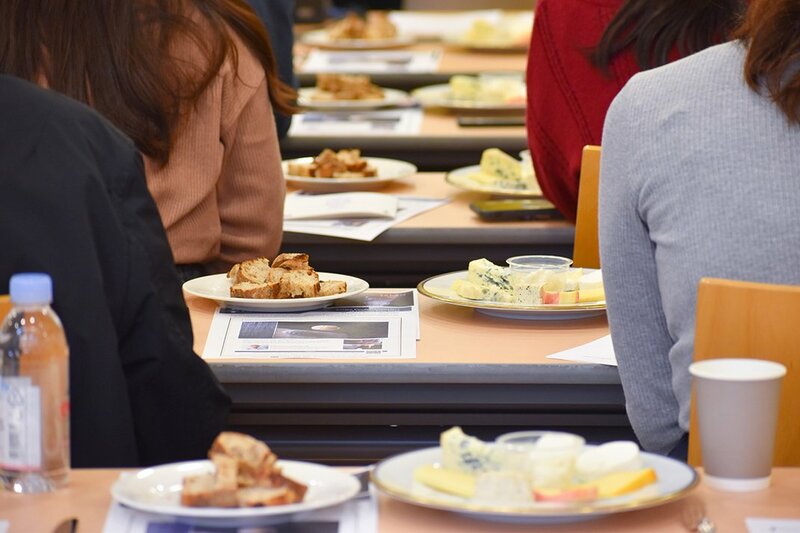 Students at Le Cordon Bleu Japan had a great time discovering a different side of sake through pairings of the rice liquor with a selection of delicious cheeses at the Hiroshima Sake Seminar held in February and March. 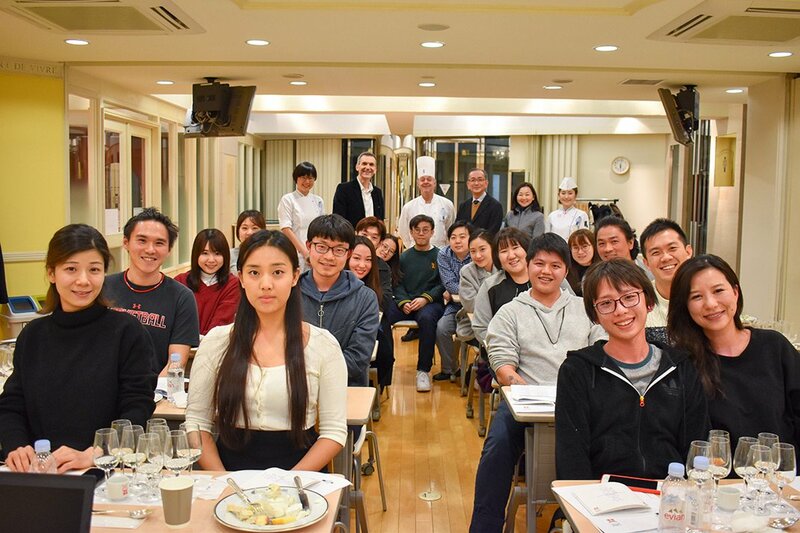 Students and sake-enthusiasts tried 9 delicious couplings of cheese and sake from the Hiroshima prefecture in Southwestern Japan while learning, from a sake expert, about its extensive history and production methods. Sake is an alcoholic beverage made from brewing rice in water using koji, an enzyme key to the fermentation process. Its history dates way back: primitive sake production is believed to have started as early as the 2nd or 3rd century. 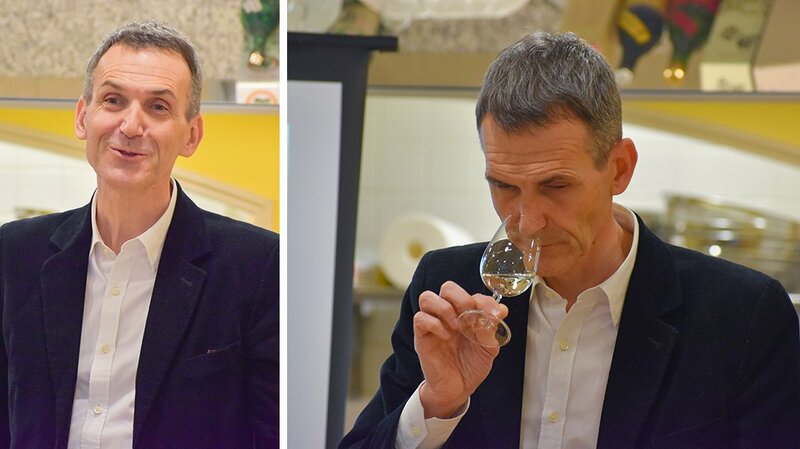 While sake has long been associated with Japanese cuisine, “with the increasing availability of premium sake in the West, sake is entering an exciting new era,” remarked Sebastien Lemoine, the sake expert who led the seminar. The biggest lesson from the seminar is that sake is highly compatible with non-Japanese dishes due to its unique flavour, dryness, and aroma. 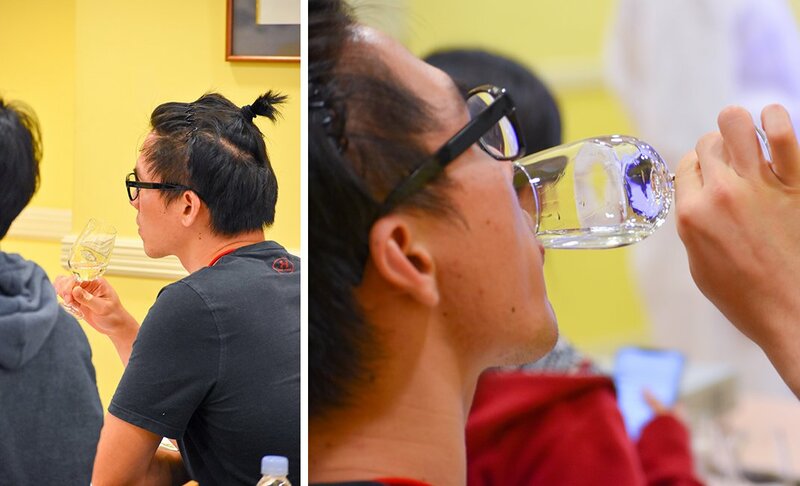 In the classroom, students discovered how changes to the many factors in the brewing process, such as the types of rice used and the addition of alcohol, create different sake variations and lend it its amazing versatility. So, what makes Hiroshima’s sake so good? “Water is what makes [it] special,” said Sebastien. It’s Hiroshima’s mild soft water, low in calcium, that gave birth to the area’s unique brewing method and the clear, tasty sake characteristic of the region today. 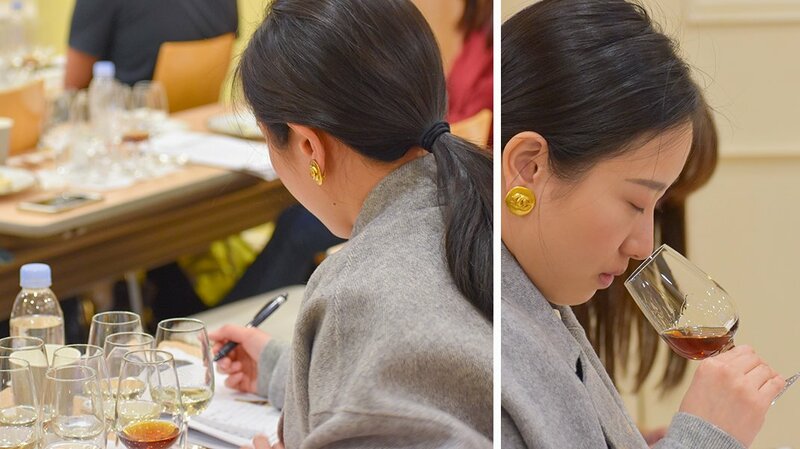 The sake in the seminar were served in wine glasses, an increasingly popular vessel for sake for its ability to capture aroma, and kikichoko, a special cup for tasting, to fully explore the flavour profiles of each sake. 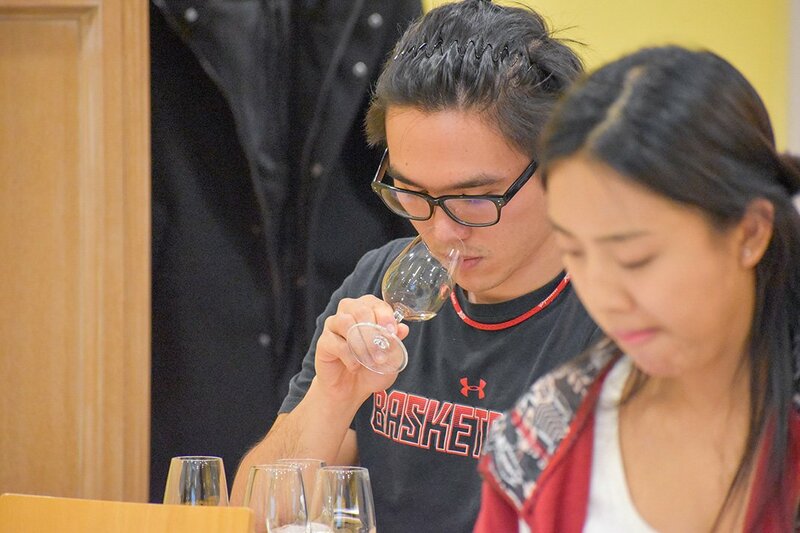 After taking a sip of sake, students tasted cheeses suggested by Sebastien and a Le Cordon Bleu chef. For instance, cheese with strong flavours like smoked cheddar can be paired with coarser tasting sake, suggested Sebastien. Sweet sake with sweet cheeses and desserts draws out complex flavours otherwise undetectable in each element on their own. With all these potential permutations, the possibilities seemed endless! Discussion among the students became lively as they tried different pairings on their own. 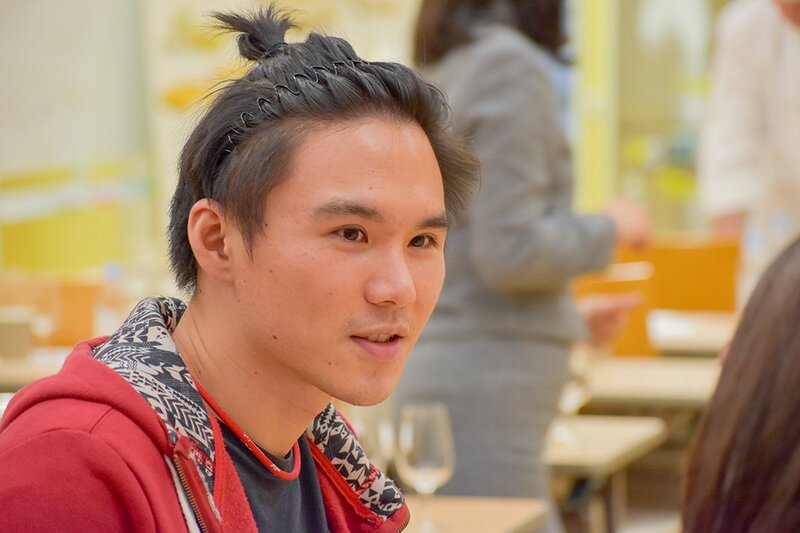 “Prior to this seminar, I had no idea there were so many different types of sake, and never really paired them with cheese,” said Ping-An Chen, a French cuisine student from Taiwan. 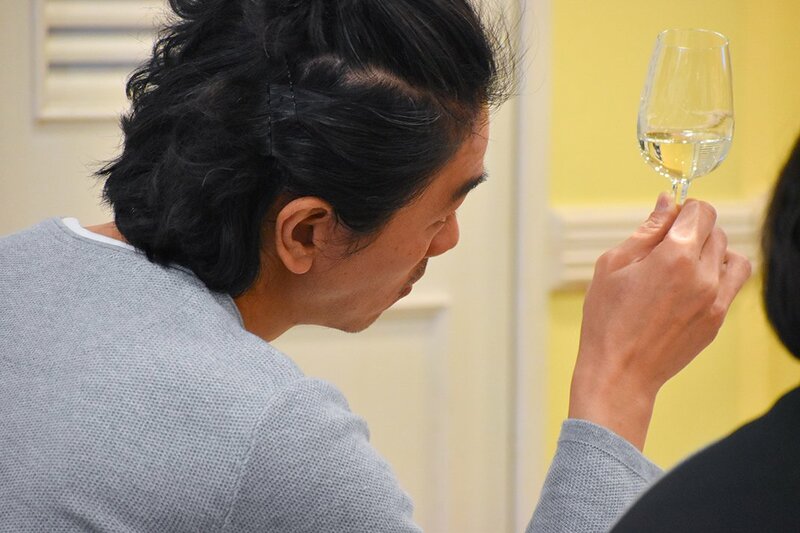 For Ping-An, who is a whiskey-lover, this sake seminar was an eye-opener: “I think learning about how to evaluate sake and pair it with different types of food will be useful in pursuing my culinary career, and also when I’m dining out,” he said. After the two-hour seminar, everyone left the classroom with a happy belly, flushed cheeks, and a new-found appreciation for the Japanese rice liquor. Le Cordon Bleu runs sake courses and events in its Tokyo and Paris institutes. Contact us to sign-up or to find out more on the latest nihonshu happenings near you.